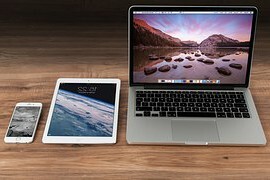 Whether it’s a new laptop, tablet, phone or Smart TV, it’ll be set up for you along with your wifi, email, printer, security and linked technology, to your exact requirements. That means checking it thoroughly, setting up your existing email accounts (or new ones), connecting to wifi, ensuring the level of security you want, and linking with your other technology and printers. Even if it’s been sitting in a box or a cupboard for weeks (or months… even years!) I can set it up for you and show you how to get started.